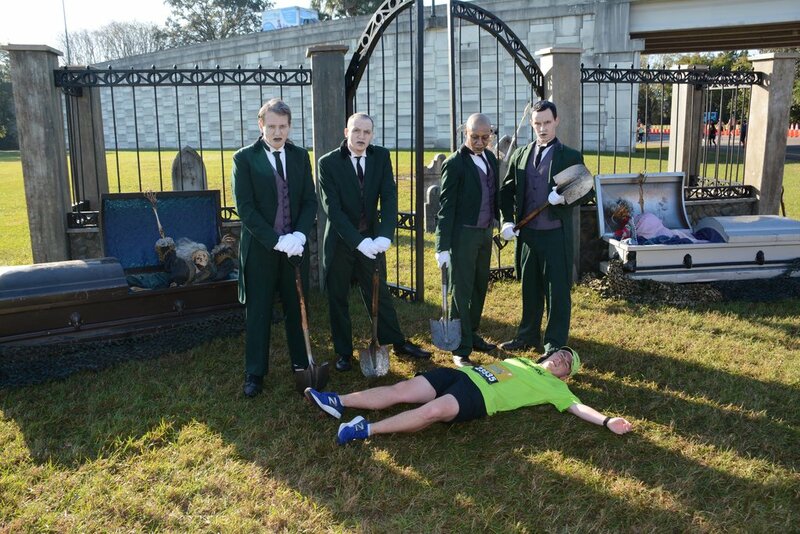 The Walt Disney World Marathon Weekend is runDisney’s flagship event. Beginning in January of 1994 and growing ever since, this world famous race weekend has gone through numerous changes throughout the now 26 years. 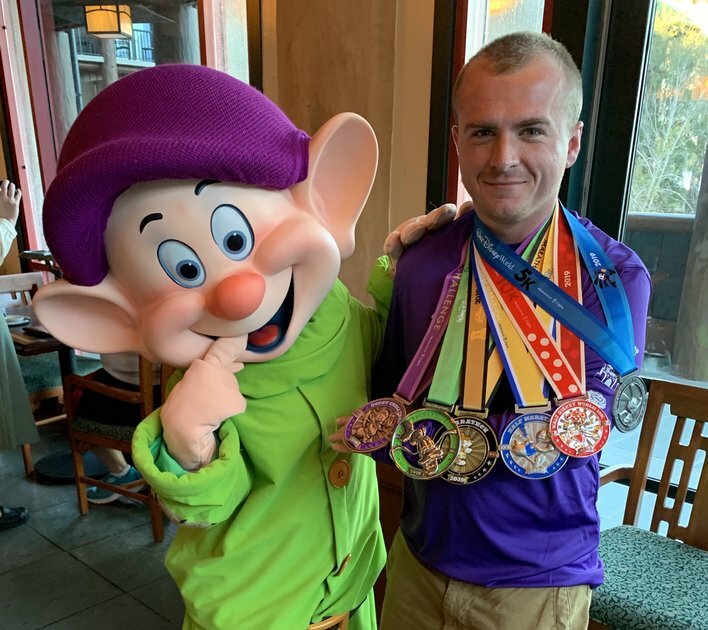 This year saw a drop in participants from 2018, which was the 25th anniversary of the Walt Disney World Marathon and the 5th anniversary of the Dopey Challenge. Many have questioned if that drop means runDisney has hit a peak with their pricing or if other factors played a larger role. 2018 had roughly 20,000 runners finishing the marathon whereas 2019 had 12,000 finishers. A drop of about 8000 runners is quite steep. Many consider the Walt Disney World Marathon a destination and a one-and-done type of race rather than a race one does every year. 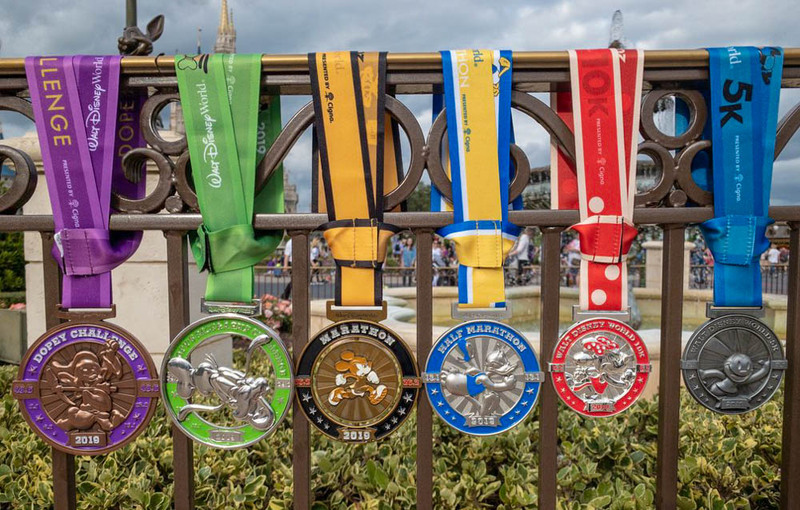 The half marathon was more popular with around 18,000 finishers, down from 20,000 or so finishers in 2018.
runDisney races — now only at Walt Disney World and Disneyland Paris — are not cheap compared to many races in other cities but do compare well to some other world famous marathons. The 2019 Walt Disney World Half and Full Marathons cost $188 each. The New York City Marathon costs $255, Boston $180, and the Marine Corps Marathon $170. Those marathons are much harder to get into though, with qualifying times or lottery entries needed. runDisney also has the added costs of runners making a vacation out of it. As Disney fans know, prices are ever increasing at Walt Disney World. Other factors that likely did play a role in less participants in 2019 are weather, it being a post-major-anniversary year after 2018, and people holding off for things like Star Wars: Galaxy’s Edge. Despite a downturn in participation the 2019 Walt Disney World Marathon Weekend was a success. The runDisney Health and Fitness Expo at the ESPN Wide World of Sports — which is where runners pick up their bibs and race shirts as well as purchase race merchandise — was better received in 2019 compared to 2018, as there was not a 1+ hour wait to get into the merchandise area. This expo also utilized the new Wide World of Sports Arena which opened in 2018. 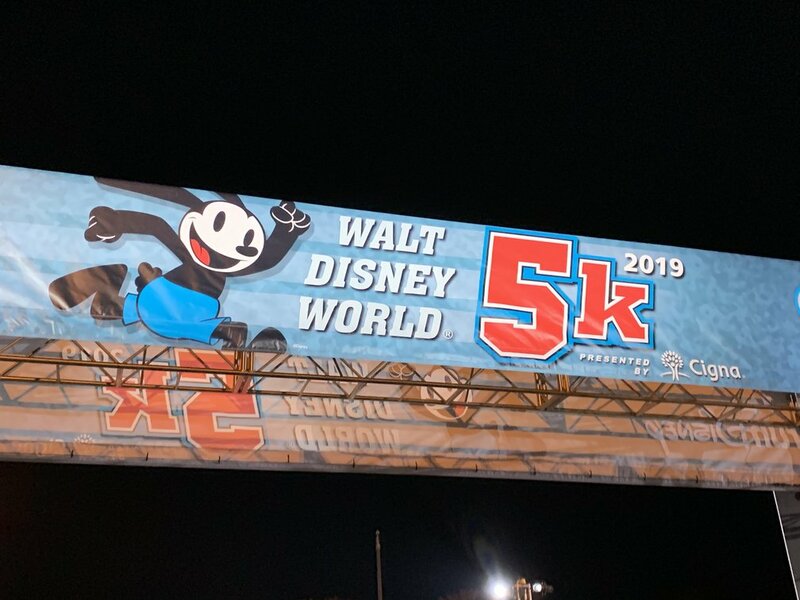 For the first time in years the Walt Disney World 5K got a new theme, with Oswald taking over for Pluto. 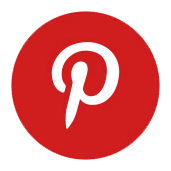 This was a somewhat controversial change but many were happy for a more unique theme. runDisney also changed from their normal six-corral race setup to a three-corral race setup, which meant for more people in each corral. The runDisney 5Ks are untimed unless you are taking part in the Dopey Challenge. This was the 6th year of the Walt Disney World 10K and it stuck to the Minnie Mouse theme throughout that. A rumor suggest this theme may change as well next year but we are a bit away from knowing about that yet. This course has remained mostly the same throughout all 6 years of its running as well. Saturday, January 12th, 2019 was the 22nd running of the Walt Disney World Half Marathon. Donald Duck has been the theme of this race since it began. It is the most popular race of the weekend as it is not quite as grueling as a full marathon and gives runners a chance to run down Main Street and through the castle at the Magic Kingdom. Sunday, January 13th, 2019 was the granddaddy of them all, the Walt Disney World Marathon. This was the 26th year for the marathon and even though there were less runners it was still a lively and well-attended event. People come from all over the world to take part in this event. Many see these races as fun rather than exercise, since you can ride attractions during the race or even pick up a margarita or snack while running to the finish at Epcot. Fredison Costa won the 2019 Walt Disney World Marathon, his 7th time winning this race overall with a time of 2:18:45 beating out the 2018 winner Nick Hilton. This was my 5th consecutive year taking part in the Walt Disney World Marathon Weekend and my 3rd Dopey Challenge, which is a challenge where runners complete all four races in four days totaling 48.6 miles. The running if trained well is not as much of a challenge as the getting up at 2:30 AM four days in a row. This year the Dopey Challenge medal was the biggest it has ever been. Roughly 500 perfect Dopey Challenge participants are left, meaning those who have completed the race series all six years it has been available. To put that in perspective, as of 2018 there were 75 perfect marathoners left, meaning 75 people had completed the Walt Disney World Marathon all 25 years. In 2020 the Goofy Race and a Half Challenge, which is those who take part in the half and full marathons totaling 39.3 miles in two days, will have its 15th anniversary. There are reportedly around 70 perfect Goofy Challengers left as well. I always suggest celebrating your accomplishments. With the Dopey Challenge I went ahead and scheduled a Storybook Dining reservation as soon as they were available and highly recommend this meal, especially if you are looking to meet Dopey and have a great meal after putting in the time and effort it takes to run these races. Despite some of the negatives to running Disney compared to other events I will continue to do them, as I have met some of my best friends through these races and have always had a good time running through the parks. There are not many places you can ride a roller coaster (Expedition Everest) in the middle of a marathon. If you are interested in learning more about these races or any of the other runDisney events, visit the runDisney page on wdwinfo.com or the runDisney board on Disboards.com.